Woohoo it’s nearly Christmas, all the preparations are in full flow, the menu is planned and dinner is ordered. 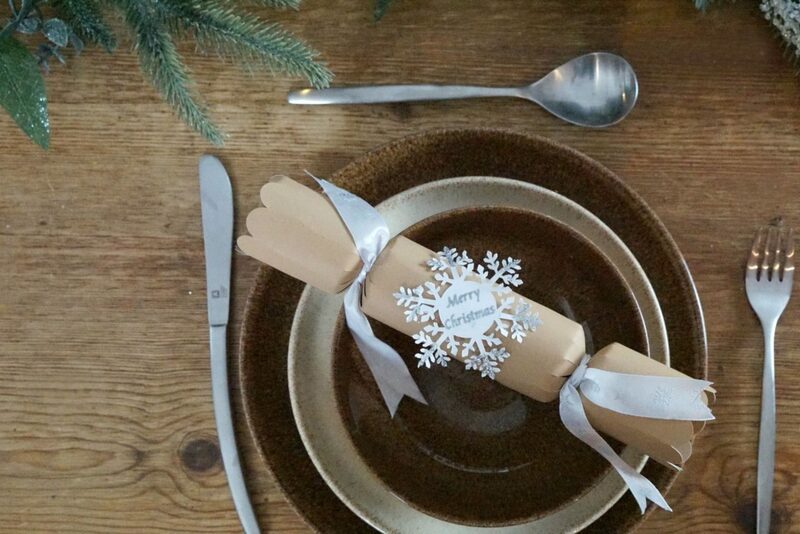 And this year I have made home made gin Christmas Crackers to fit my rustic Christmas table. 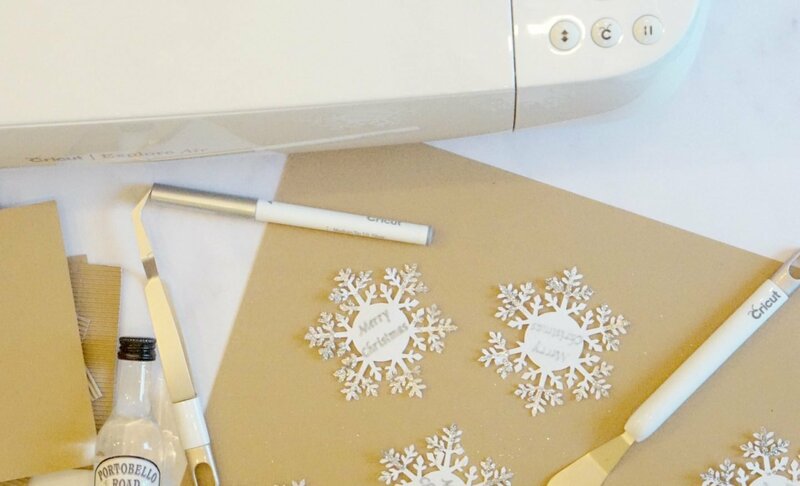 So here you go, a cricut tutorial showing how to make Christmas crackers. 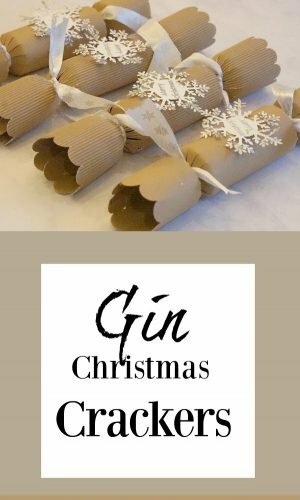 Gin and chocolate crackers to be precise! Christmas crackers are always such an anti climax aren’t they? You spend a small fortune on them they look so pretty and promise great things and then you end up with a set of silver dice. 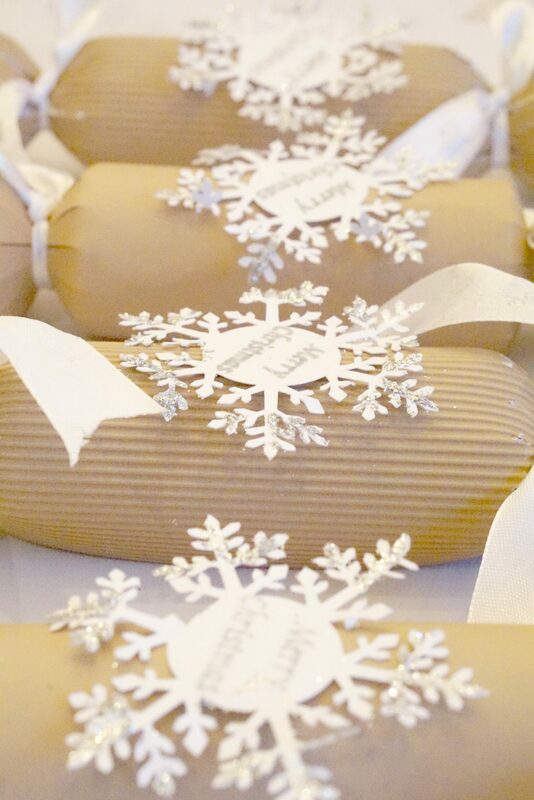 So this year I decided to make meaningful crackers, something that would be of use. And what better surprise than a little bottle of your fave gin or a tasty treat. 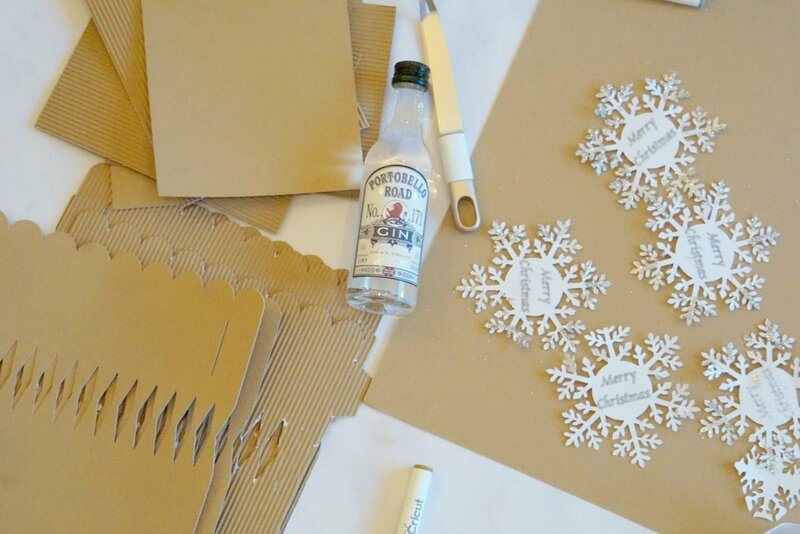 These crackers are made in minutes if you own a Cricut, however could be hand cut with a good craft knife and a lot of patience. 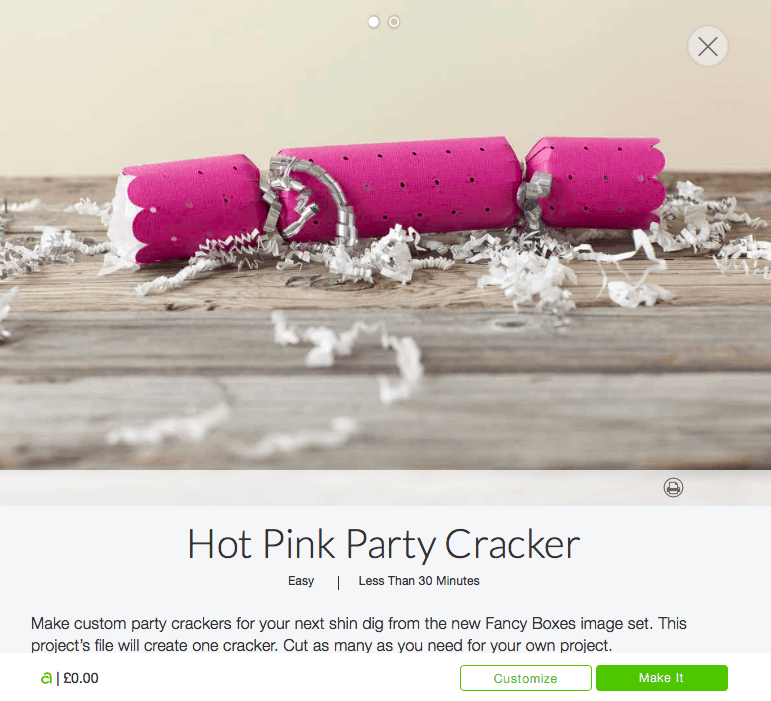 I started by finding a cracker template on my Cricut Design space. 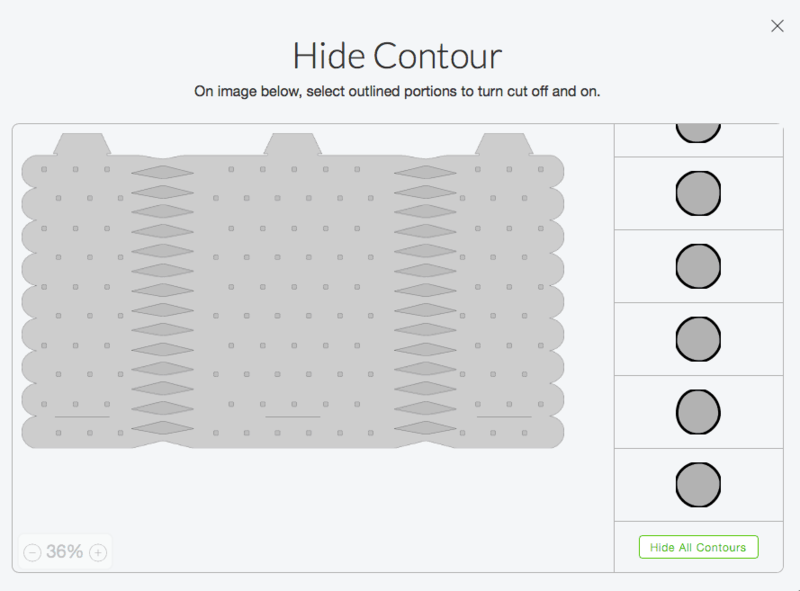 The pattern in the design space had a polka dot contour, which did not work for the look I wanted to create, however by selecting the contour tool I was able to select and remove the dots to create a solid cracker. Size the cracker, the exact dimensions are on the mat below, I found this the best size to fit the cutting mat. 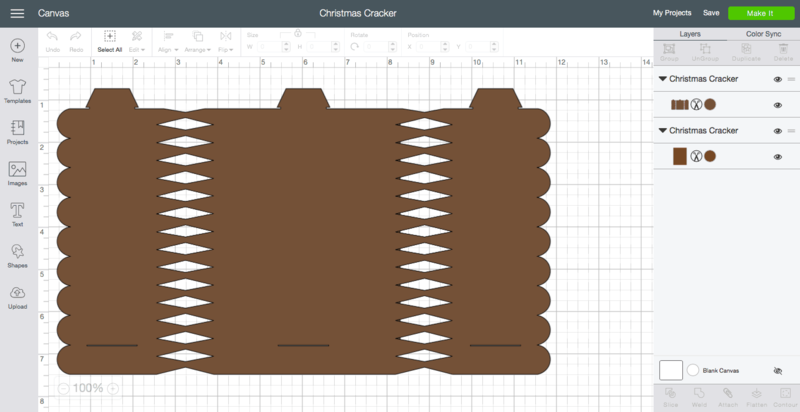 For a larger cracker you will need a 12×24 mat. Choose a decoration for the cracker, I chose a star which we decorated with glitter. 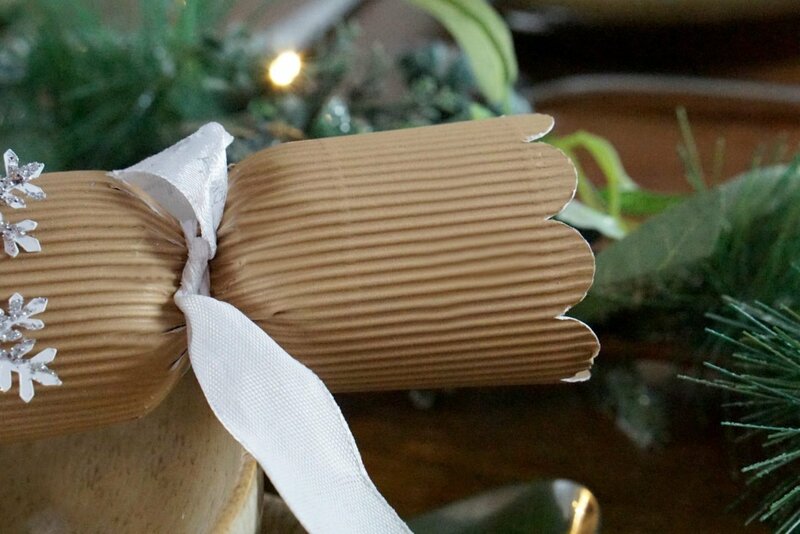 Secure the snap to the inside of the cracker with a little tape at each end of the cracker. 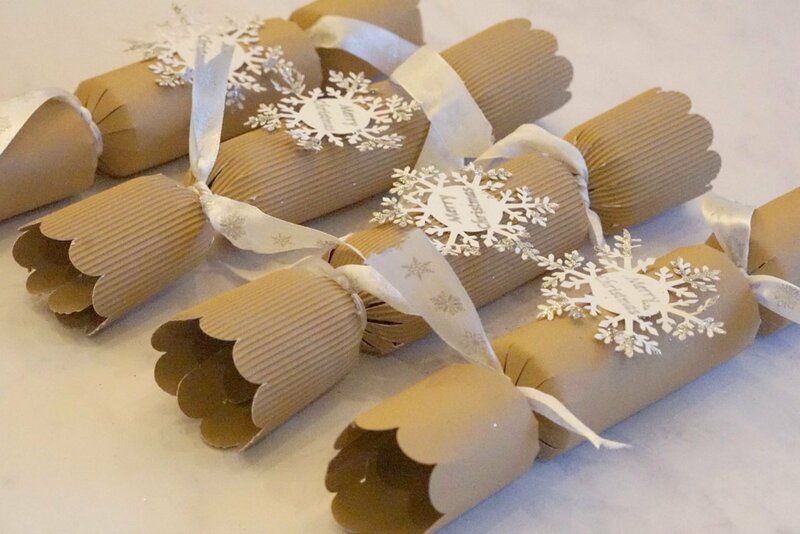 Roll the cracker around a rolling-pin, being careful to tuck the tabs in and stick the edges down. Secure one end of the cracker with ribbon before popping your gifts/gin and jokes inside before securing the opposite end.